The examination began with a long, rewarding meeting were chosen persons from the local community and the parish as well as representatives for the authorities concerned were present. 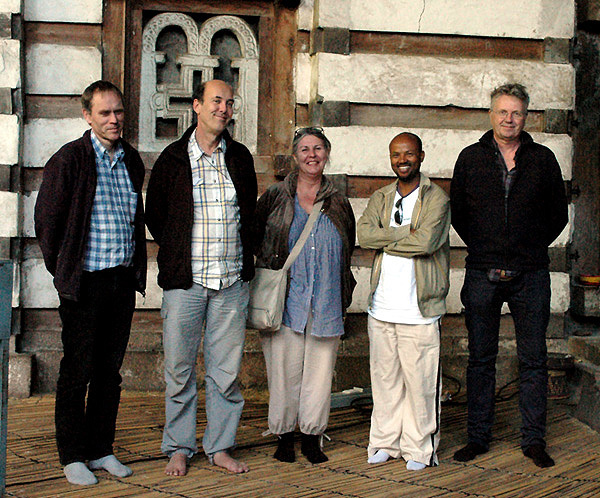 SCECH and the team was introduced by Mr Mengistu Gobezei, archaeologist and priest, deriving from the village and the project presented by Mr Tadesse Girmay, a young architect and member of our team, devoted to the issue of cultural heritage and conservation. Then some of us tried to explain a bit about what the content and the goals are for a conservation and restoration. 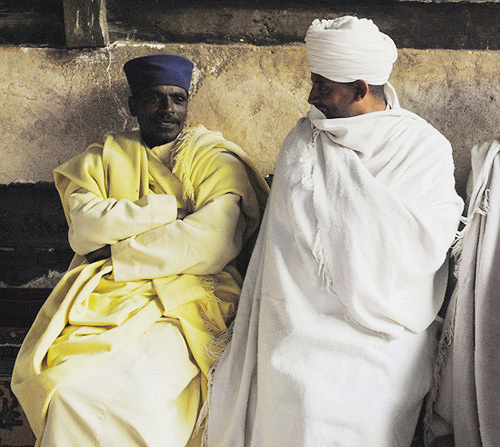 The meeting was finalized by a warm speech by Abba Welde Qirqos, Head of the parish. 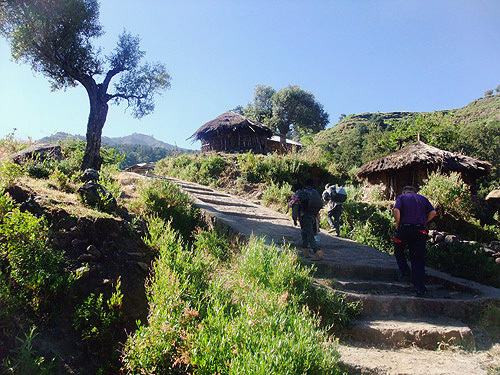 He welcomed us and said that what had convinced them all as for the credibility of our team and our project was not least due to the recommendation from a son of the village, i.e. the above-mentioned Mr Mengistu Gobezei. 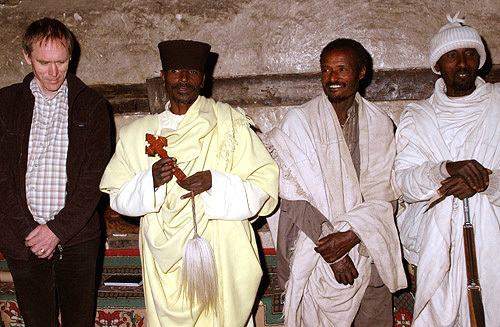 This gathering and the five intense days of work together with our Ethiopian friends during this examination could be summerized: The people at this place loves their temple as if it was a living part of Christ’s own body and have the deepest understanding for the acute need of taking measures in order to save this one and its priceless adornment assisted by us restorers. 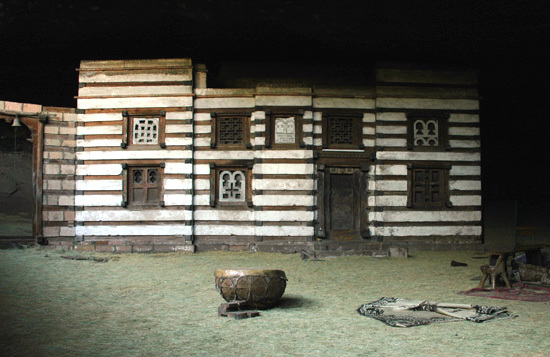 The Ethiopian cultural heritage is deeply rooted in the heart of its people and the relationship between piety and art in the village of Yimrihanne Kristos is inseparable, convincing and beautiful. Responsible for the examination was SCECH and its project manager Lars Gerdmar. The examination team was made up of five participants (find brief presentations by link below). The purpose of the examination was to get the necessary information in order to implement a conservation and restoration of the church building and its pictorial program as well as the royal palace. The evaluation of achieved data will form the basis for a conservation and restoration programme. Below follows a brief illustrated report that presents the most essential contents of the examination. This ends up with acknowledgment and photographs of Ethiopian friends and colleagues from Addis Ababa and the village Yimrihanne Kristos. In order to facilitate the down loading also in Ethiopia, where the inter speed sometimes is slow, this presentation is split up in short parts.